Advantech Networks and Communications Group provides mission-critical hardware to the world’s leading networking companies. Starting from a broad range of fully integrated, certified, standard products, customers can leverage Advantech’s Customized COTS framework to optimize their solution for their application-specific requirements. Advantech’s Remote Evaluation Service offers easy and secure access to all its platforms for remote evaluation, benchmarking and the testing of new technologies and services. Whether it is wired or wireless, virtual or physical, at the core or the edge of the network, Advantech’s products are embedded in the telecommunications infrastructure that our world depends upon. Advantech's Enterprise Networking Product Division offers a broad portfolio of x86-based Network Platforms built with the latest generation Intel processors, LAN access devices and accelerator silicon such as Intel QuickAssist (QAT) technology for SSL and IPsec encryption. Integrated into state-of-the-art tabletop and rackmount designs a range of customized branding options are available for fast and efficient deployment. The platforms range from cost-efficient and compact tabletop solutions using Intel Atom Processors for SMB deployment to higher performance 1U rackmount server designs and scalable 2U Enterprise/Data Center level platforms harnessing the power of Intel Xeon Processors. Specifically designed to meet the requirements of Network Equipment Providers, Cyber Security OEMs, and Communication Service Providers, the platforms are highly scalable and configurable with flexible port counts across a wide range of 1GbE, 10GbE, 40GbE and 100GbE options. Advantech platforms are deployed in volume around the world in a wide range of applications for network and cyber security in the form of Unified Threat Management (UTM) appliances, Intrusion Prevention and Detection (IPS / IDS) devices, Next Generation Firewalls (NGFW) and Security Gateways (Se-GW) among others. They are ideally suited for enterprise applications such as vE-CPE and SD-WAN, and widely used as physical appliances such as load balancers, application delivery controllers (ADC), WAN Optimization Controllers (WOC) and VPN gateways. Advantech's 2U Rackmount platforms are designed with X86 processor and positioned for intel-based 2U networking appliances which require ultimate multi-core and multi-processor performance, highly scalable port counts, I/O expandability, redundant power, and remote management. The intel-based 2U networking appliance as a network security platform provides maximum performance in a 2U rack mount footprint and offers a wider range of I/O expansion options. Our intel-based 2U networking appliances serve as the ideal network security platform to work on service and quality Control and content filtering management. Network security platform for various network applications, including firewall, VPN, UTM, is the solution to your CPU-intensive application. Advantech's 1U Rackmount Platforms are designed with X86 processor to meet two main OEM requirements, intel-based 1U networking appliances and Compact High-performance Appliance. The entry level intel-based 1U networking appliance as a network security platform provides a rackable version of the tabletop platforms and offer a wider range of I/O expansion options. The compact high-performance appliances are positioned to meet mid- to high-end market needs, offering higher and extensible port counts, redundant power options, and higher capacity storage. Our entry-level intel-based 1U networking appliances serve as the ideal network security platform to work on service and quality Control and content filtering management. Network security platform for various network applications, including firewall, VPN, UTM, is the solution to your CPU-intensive application. Advantech's Tabletop Platforms are designed to be the most cost-efficient and light-weighted networking appliances for mainstream IDS/IPS, Anti-virus, VPN gateway and Unified Threat Management (UTM) applications. These intel-based networking appliances products provide great connection ability and accountability, offering higher and extensible port counts, redundant power options, and higher capacity storage. Featuring LAN Bypass function, our tabletop platforms protect your business communications from unexpected power outage; accompanied with LAN Bypass function, these intel-based networking appliances are also designed with fanless cooling for low noise environment requirement. Advantech’s Tabletop Platforms are powerful but low power consumption, providing the answer to your entry-level UTM solution. Advantech provides network modular, flexible and scalable Network Mezzanine Card (NMC) to empower hardware acceleration used in x86-based high performance Network Application Platforms and Appliances. The Network Mezzanine Card series feature multiple network modules, SFP Interface, and Intel Ethernet Controller to offer flexible and scalable I/O solutions to meet the rigorous needs of mission-critical applications. With multiple network modules, SFP Interface, and Intel Ethernet Controller supported, Advantech’s Network Mezzanine Card series are designed for easy maintenance & field upgradable from the system front panel. The Packetarium XL series of x86 based blade servers is designed for optimum performance in next generation enterprise and telecom applications, enabling new, cost-effective ways to scale-out compute performance on Intel® Architecture processors distributed across high-speed switched backplanes. 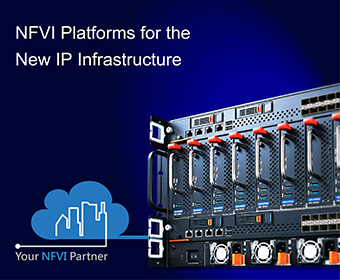 The systems bring greater performance, flexibility and cost efficiencies to strengthen the transition to NFV and Software Defined Infrastructure. The original Packetarium series is based on Network Processor (NPU) technology to meet more specialized packet processing needs in applications leveraging Deep Packet Inspection. The Packetarium XL family is based on two high-speed switched backplane architectures. The Packetarium XLe for Enterprise series is optimized for maximum CPU and I/O density, bringing higher throughput to meet the increased demand for faster packet handling in enterprise networking and telecom middle boxes. The Packetarium XLc for Carrier Networks is designed to provide equipment manufacturers and service providers with a telecom cloud infrastructure platform that accelerates the transition to NFV, yet also complies to the equipment practice, the power and thermal footprints of telecom rooms and central offices at the edge and in the core of the networks. Advantech’s non-x86 Packetarium™ microserver systems are available in multiple rackmount form factors, serving as standard and customized platforms and sharing common design features in order to accelerate system design and maximize hardware and software re-use. The Packetarium™ microserver platform products are highly modular, scaling from 1U to 4U with a wide range of NPUs and core densities for the best in multi-10 GigE and GigE packet processing in homogeneous or hybrid topologies. Powered by Advantech’s Network Processing cards and with flexibility of SATA SDD or PCIe expansion to choose, Advantech’s Packetarium™ microserver platform product line helps drive down costs and provide compelling and consistent experiences to your business. Advantech High Performance Servers are highly configurable platforms designed to balance the best in x86Network Appliance processing performance, promoting Network Security with maximum I/O and offload density in a 20" depth chassis. The rackmount servers are cost effective, highly available optimized to meet next-generation networking and media processing needs. Our carrier grade rackmount servers are tested and engineered to meet high standards, and provide fast fault recovery through redundancy, which stabilize your system with extended lifecycles. Key features of Advantech’s carrier grade servers such as hot swappable redundant power supplies and fans, advanced carrier grade remote management, and redundant BIOS or firmware images for fail safe updates all bring increased reliability and serviceability advantages to customers, which aim at perfecting your next-generation telecom project. The rackmount servers are specifically designed for high density PCIe card payloads where maximum port count is needed or the integration of industry leading offload and acceleration technology is essential. The servers are all designed to provide greater robustness and meet stringent environmental conditions with reduced rack depths. As Advantech’s carrier grade servers are set, unprecedented x86Network Appliance processing performance is ready. The Advantech SKY-8101D is a highly configurable high performance server designed to balance the best in x86 server-class processing with maximum I/O and offload density in a 1U 29.5" depth chassis. The system is a cost effective, robust platform optimized for superior reliability in business critical applicationssuch as communications, edge and industrial high performance computing. It is specifically designed for high density PCIe card payloads where maximum IO connectivity is needed or the integration of industry leading offload and acceleration technology is essential. The power and cooling options along with the streamlined mechanical design make it ideal for demanding applications requiring high performance acceleration technologies such as GPU, DSP and FPGA cards. Architected around the new Intel® Xeon® Processor Scalable Family, the dual socket SKY-8101D combines cutting-edge performance with the ruggedness, reliability, and long system lifecycles required by the industry. With integrated security and compression offload based on Intel® QuickAssist technology and two 10GbE ports with SR-IOV and RDMA support, the system offers best-in-class integration in a compact form factor. The SKY-8101D accommodates up to four 10.5” PCIe x16 Gen3 adapters, designed for applications requiring high TDP, high speed networking capacity or longer length add-on cards. The server can significantly scale the bandwidth up and provide better cost advantages for applications such as NFV infrastructure requiring up to 400Gbps throughput, high definition multi-stream video processing and AI workloads leveraging high density FPGA offload adapters. Redundant power supplies, the ability to withstand single fan failures, redundant firmware images with failsafe upgrades and hot swappable FRUs make the SKY-8101D the platform of choice for applications requiring zero downtime. Interoperability testing is performed with a wide selection of Advantech and third-party PCIe card vendors in order to accelerate integration and shorten time to deployment. The SKY-8211 series represents the next generation of white box servers designed to replace proprietary routers and gateways with an open programmable off-the-shelf platform entirely based on processors and network interfaces from Intel. When deployed as virtual routers they provide the functionality of legacy, fixed-function routers with more flexibility and lower cost. The platforms are ideal for software defined networking deployment and are based on the highly versatile Intel Xeon Processor Scalable series enabling high performance control and dataplane processing. With multiple front facing ethernet ports connected to a cost optimized planar PCIe board the platforms eliminate the need for multiple PCIe cards and offer all the physical connectivity advantages of an off-the-shelf enterprise or provider edge router. Together with software from leading ecosystem partners the SKY-8211 becomes the first modular programmable switch to eliminate specialized dataplane processing using non-Intel Architecture components. The SKY-8211's are essentially highly configurable high performance servers designed to balance the best in x86 server-class processing with maximum I/O and offload density in a 2U 430mm depth chassis. The system is a cost effective, robust platform optimized for superior reliability in business critical applications such as communications, edge and industrial high performance computing. It is specifically designed to meet high density I/O connectivity and wide operation temperature. The power and cooling options along with the streamlined mechanical design make it ideal for demanding applications requiring in a -20C to 70C environment. The SKY-8211 meets a variety of acquisition, preprocessing and forwarding performance needs and can operate in environments with limited space, higher ambient temperature and lower low noise level constraints.Architected around the new Intel® Xeon® Processor Scalable Family, the single-socket SKY-8211 combines an unprecedented choice of performance levels from 6 to 28-cores with the ruggedness, reliability, and long system lifecycles required by the industry. With integrated security and compression offload based on Intel® QuickAssist technology, the system offers best-in-class integration in a compact form factor.The SKY-8211 is designed to withstand extended environmental conditions in terms of shock, vibration and operating temperature. Redundant power supplies, the ability to withstand single fan failures, and redundant firmware images with failsafe upgrades make the SKY-8101 for reliable. The front hot swappable FRUs and I/O ports makes the SKY-8211 the platform of choice for fast and simple service. For more details please contact your Advantech local sales representative. The SKY-9240 is a 2U 4-node rackmount server designed for hyper-converged infrastructure and high performance compute in markets demanding enhanced solutions for applications such as hyper-converged secondary storage, object recognition and deep-learning, virtual desktop infrastructure and compute intensive cloud. The system delivers the highest performance and efficiency in a 2U 4-node design, creating the flexibility to deploy independent workloads with all the economies of a shared chassis infrastructure, including cooling and power. This significantly lowers the total cost of ownership (TCO) to less than the cost of four regular 1U or 2U servers. The hot-swappable compute nodes are designed with dual Intel® Xeon® Scalable processors and the latest DDR4 memory technology. Each node supports up to two 28-core CPUs with an increased UPI bandwidth of 10.4GT/s, nearly 10% improvement from the previous generation, lowering latency and accelerating inter-processor communications. In addition, a 6-channel memory design increases memory bandwidth by up to 50% and supports up to 512GB RAM per node. The compute nodes employ an innovative and modular design concept for maximum configuration flexibility in a space-efficient form-factor. One OCP mezzanine slot and up to two PCIe slots per node enable a broader choice of I/O, offload and acceleration than similar designs. Each computes node provides 2.5" data storage capabilities with a further twelve 3.5" SAS/SATA drive bays available at chassis level for optional cold data storage. Redundant, hotswappable 1 1 power and fans enhance product stability and serviceability, maximizing availability and increasing uptime. The system offers enhanced platforms management capabilities and supports the latest major Linux distributions including CentOS, Red Hat Enterprise Linux, Ubuntu, and VMware. The Advantech SKY-8201L is a highly configurable high performance server designed to balance the best in x86 server-class processing with maximum storage, I/O and offload density in a 2U 27.5" depth chassis. The system is a cost effective, robust platform optimized for superior reliability in business critical applications such as communications, edge and industrial high performance computing. It is specifically designed for high density PCIe card payloads where maximum I/O connectivity is needed or the integration of industry leading offload and acceleration technology is essential. The power and cooling options along with the streamlined mechanical design make it ideal for demanding applications requiring acceleration technologies such as GPU, DSP and FPGA cards. Architected around the new Intel® Xeon® Processor Scalable Family, the Dual-socket SKY-8201L combines an unprecedented choice of performance levels from 6 to 28-cores with the ruggedness, reliability, and long system lifecycles required by the industry. With integrated security and compression offload based on Intel® QuickAssist technology and two onboard 10GbE ports with SR-IOV and RDMA support, the system offers best-in-class integration in a compact form factor. Specifically designed for applications requiring higher capacity, front loading, hot-swappable storage with RAID support, the SKY-8201L accommodates up to twelve 3.5" or twentyfour 2.5" removable drive bays at the front of the system, eight/twenty of which support SATA/SAS connectivity and a further four optional 2.5" NVMe drives, each connected to a PCIe Gen3 x4 Intel OCuLink bus. With support for Intel® VROC hybrid NVMe and SATA RAID, the server is ideal for video caching and edge transcoding, data acquisition, storage and processing as well as accelerated edge processing and analytics. The SKY-8201L meets a variety of acquisition, preprocessing and forwarding performance needs and can operate in environments with limited space, higher ambient temperature and lower low noise level constraints. The SKY-8201L is designed to withstand extended environmental conditions in terms of shock, vibration and operating temperature. Redundant power supplies, the ability to withstand single fan failures, redundant firmware images with failsafe upgrades and hot swappable FRUs all make the SKY-8201L the platform of choice for applications requiring zero downtime. Interoperability testing is performed with a wide selection of Advantech and third-party PCIe card vendors in order to accelerate integration and shorten time to deployment. The Advantech SKY-8201 is a highly configurable high performance server designed to balance the best in x86 server-class processing with maximum I/O and offload density in a 20" depth chassis. The system is a cost effective, robust platform optimized for superior reliability in business critical applications including, but not limited to, communications, edge and industrial high performance computing. It is specifically designed for high density PCIe card payloads where maximum IO connectivity is needed or the integration of industry leading offload and acceleration technology is essential. The power and cooling options along with the streamlined mechanical design make it ideal for demanding applications requiring high performance acceleration technologies such as GPU, DSP and FPGA cards. Architected around the new Intel® Xeon® Processor Scalable Family, the Dual-Socket SKY-8201 combines cutting-edge performance with the ruggedness, reliability, and long system lifecycles required by the industry. With integrated security and compression offload based on Intel® QuickAssist technology and two onboard 10GbE ports with SR-IOV and RDMA support, the system offers best-in-class integration in a compact 2U, 20" deep form factor. The SKY-8201 is designed to withstand extended environmental conditions in terms of shock, vibration and operating temperature. A replaceable front air filter is supported to cope with dust. Redundant power supplies, the ability to withstand single fan failures, redundant firmware images with failsafe upgrades and hot swappable FRUs make the SKY-8201 the platform of choice for applications requiring zero downtime. The SKY-8201 is designed for NEBS Level 3 carrier grade environments and where limited rack space is available. Interoperability testing is performed with a wide selection of third-party PCIe card vendors. The Advantech SKY-8101 is a highly configurable high performance server designed to balance the best in x86 server-class processing with maximum I/O and offload density in a 20" depth chassis. The system is a cost effective, robust platform optimized for superior reliability in business critical applications including, but not limited to, communications, edge and industrial high performance computing. It is specifically designed for high density PCIe card payloads where maximum IO connectivity is needed or the integration of industry leading offload and acceleration technology is essential. The power and cooling options along with the streamlined mechanical design make it ideal for demanding applications requiring high performance acceleration technologies such as GPU, DSP and FPGA cards. Architected around the new Intel® Xeon® Processor Scalable Family, the single-socket SKY-8101 combines cutting-edge performance with the ruggedness, reliability, and long system lifecycles required by the industry. With integrated security and ompression offload based on Intel® QuickAssist technology and two onboard 10GbE ports with SR-IOV and RDMA support, the system offers best-in-class integration in a compact 1U, 20" deep form factor. The SKY-8101 is designed to withstand extended environmental conditions in terms of shock, vibration and operating temperature. A replaceable front air filter is supported to cope with dust. Redundant power supplies, the ability to withstand single fan failures, redundant firmware images with failsafe upgrades and hot swappable FRUs make the SKY-8101 the platform of choice for applications requiring zero downtime. The SKY-8101 is designed for NEBS Level 3 carrier grade environments and where limited rack space is available. Interoperability testing is performed with a wide selection of third-party PCIe card vendors. The Advantech SKY-8101L is a highly configurable high performance server designed to balance the best in x86 server-class processing with maximum storage, I/O and offload density in a 1U 27.5" depth chassis. The system is a cost effective, robust platform optimized for superior reliability in business critical applications such as communications, edge and industrial high performance computing. It is specifically designed for high density PCIe card payloads where maximum I/O connectivity is needed or the integration of industry leading offload and acceleration technology is essential. The power and cooling options along with the streamlined mechanical design make it ideal for demanding applications requiring acceleration technologies such as GPU, DSP and FPGA cards. Architected around the new Intel® Xeon® Processor Scalable Family, the single-socket SKY-8101L combines an unprecedented choice of performance levels from 6 to 28-cores with the ruggedness, reliability, and long system lifecycles required by the industry. With integrated security and compression offload based on Intel® QuickAssist technology and two onboard 10GbE ports with SR-IOV and RDMA support, the system offers best-in-class integration in a compact form factor. Specifically designed for applications requiring higher capacity, front loading, hot-swappable storage with RAID support, the SKY-8101L accommodates up to ten 2.5" removable drive bays at the front of the system, eight of which support SATA/SAS connectivity and a further two optional 2.5” NVMe drives, each connected to a PCIe Gen3 x4 Intel OCuLink bus. The two NVMe drive bays can also be configured physically into one PCIe slot, accommodating one commercial-off-the-shelf PCIe Gen3 low profile card. With support for Intel® VROC hybrid NVMe and SATA RAID, the server is ideal for video caching and edge transcoding, data acquisition, storage and processing as well as accelerated edge processing and analytics. The SKY-8101L meets a variety of acquisition, preprocessing and forwarding performance needs and can operate in environments with limited space, higher ambient temperature and lower low noise level constraints. The SKY-8101L is designed to withstand extended environmental conditions in terms of shock, vibration and operating temperature. Redundant power supplies, the ability to withstand single fan failures, redundant firmware images with failsafe upgrades and hot swappable FRUs all make the SKY-8101L the platform of choice for applications requiring zero downtime. Interoperability testing is performed with a wide selection of Advantech and third-party PCIe card vendors in order to accelerate integration and shorten time to deployment. The Advantech SKY-8100 is a highly configurable carrier-grade server designed to balance the best in x86 server-class processing performance with maximum I/O and offload density in a 20" depth chassis. The system is a cost effective, highly available platform optimized to meet next-generation networking equipment needs. It is specifically designed for applications where offload and acceleration technology is essential. The power and cooling options along with the streamlined mechanical design make it ideal for Digital Signal Processing and other high tdp PCIe adapter cards. Architected around single 5th Intel® Pentium® Processor and Intel® Xeon® Processor D series, processors, the SKY-8100 combines cutting-edge performance with the ruggedness, reliability, and long sytem lifecycles required by both industrial and networking equipment providers. The system supports single Intel® Pentium D-1508, Intel® Xeon® Processor D-1527, D-1528, and D-1548 with a maximum memory capacity up to 128GB with 4 DIMM sockets. The system provides hot-swappable and redundant 650W power supply modules, 4 sets of hot-swappable fans, 2 hot-swappable hard disk drives, and 2 FH/FL PCIe expansion slots. A management card provides 4 GbE Ethernet ports, 2 10GbE ports, 2 USB and a TAM alarm module connector. The SKY-8100 is designed for NEBS Level 3 carrier grade environments and where limited rack space is available. Interoperability testing is performed with a wide selection of third-party PCIe card vendors. Advantech high performance switches offer 10GbE and 40GbE flexibility in both AdvancedTCA (ATCA) and 1RU rackmount format. These new powerful and flexible network switches support enhanced features essential to build Software Defined Networks (SDN) and target top-of-the-rack deployment in modern data centers as well as AdvancedTCA application blade switching for Network Function Virtualization (NFV ) rollout. They combine the latest switching technologies from Broadcom with a wide choice of control plane processors from Intel and Freescale. Advantech Network Switches provide you with carrier grade switches to support your need for Software Defined Networks and Network Function Virtualization. Whether you need open switch programmability in carrier, enterprise or data center networks Advantech has a highly configurable solution to meet your OEM or ODM needs. ESP-2120 is a smartNIC support 2-ports or 4-ports 10/25GbE connectivity. By supporting a PCI Express Gen4 x8 host interface, this adapter provides sufficient bandwidth for line rate traffic on both 10/25GbE ports. Ethernet ports can be configured to support a variety of optical transceivers such as 10/25GBASE-SR and 10/25GBASE-LR optical modules as well as direct attach cables to deploy in variety of environments. ESP-2120 is designed as a data canter and network offload solution, built-in powerful LX2160A ARM® Cortex®-A72 16 cores processor to provide strong computing and acceleration capacity. With ESP-2120 to offload security, networking and storage related features; the server host CPU cost could be significantly reduced. Also, ESP-2120 contains security throughput 50G, allows user to develop crypto or security features. Comprehensive standard API support including DPDK and OVS to make ESP-2120 a perfect solutions for virtualized environments. ESP-2120 is an ideal network interface solution for multi-tenant environments. The agility of smartNIC allows service provider to deploy various applications. The custom programmability allows user to develop services across VMs for a wide range of scenarios. The ESP-9400 is a new generation switch from Advantech Networks and Communications Group and it is optimized for use in software-defined networks (SDN) requiring 10 and 40 Gigabit Ethernet connectivity. It combines a high performance NXP QorIQ® Layerscape ARM CPU and low-latency Broadcom StrataXGS® Trident switch solution for up to 320Gbps of forwarding bandwidth. Data center networks require increasingly denser 10GbE and 40GbE connectivity at the access and aggregation layers in order to address the higher speed network interface cards being deployed in servers and the increased link utilization due to widespread use of virtualization. Moreover, ESP-9400 is compliant to strict stipulations, as well as the requirements of the Medical certification IEC/EN 60601-1. ESP-9400 provide a powerful and flexible platform that support enhanced features essential for top-of-the-rack deployment in modern data center switching and medical installations. ESP-9400 is designed as half rack width and 1U rack height which require minimum space and easy to install in various environments. In addition, one 10/100/1000 Ethernet RJ45 port is available for out-of-band management and with one USB ports available for installation and maintenance needs. The ESP-9210 is a new generation switch from Advantech Networks and Communications Group and it is optimized for use in software-defined networks (SDN) requiring 10 and 40 Gigabit Ethernet connectivity. It combines a high performance, low-latency Broadcom StrataXGS® switch for up to 720Gbps of forwarding bandwidth and a various Intel Broadwell-DE series processor options, providing a powerful and flexible platform that supports enhanced features essential for top-of-the-rack deployment in modern data center switching installations. Data center networks require increasingly denser 10GbE and 40GbE connectivity at the access and aggregation layers in order to address the higher speed network interface cards being deployed in servers and the increased link utilization due to widespread use of virtualization. The Advantech Networking ESP-9230 is a high-performance, power-efficient, 100Gbps Top-of-Rack (TOR) switch designed for data center use. The ESP-9230 delivers line-rate L2 and L3 forwarding capacity on all ports in this compact, 1-rack-unit (1U) model. The ESP-9230 is loaded with the Open Network Install Environment (ONIE) which supports installation of compatible NOS, including Open Network Linux and commercial offerings. The Advantech Networking ESP-9230 is a Quad Small Form-Factor Pluggable (QSFP) switch with 32 QSFP28 ports. Each QSFP28 port can operate at 10, 25, 40, 50, and 100 Gbps, up to a maximum of 128 x 25-Gbps ports. While running with a powerful x86-based processor, this system is not only the highest performing switch fabric element, but also has the ability to a Linux running server into the same device. Including the ONIE software offering, the ESP-9230 has three software offerings in total to fulfill different customer applications. Details are below. (1) Powered by the Broadcom OF-DPA pipeline, the ESP-9230 becomes a 3.2T OpenFlow switch plus a high-end NFV computer platform in a single 1U device. The Broadcom switch silicon, managed by the OpenFlow protocol for the Broadcom OF-DPA, provides full line rate switching across all ports. (2) With the Broadcom FASTPATH®, the ESP-9230 helps users achieve quick time-to-market for new Ethernet products. FASTPATH operates on the Linux operating system and supports numerous industry RFCs, standards and protocols, like L2 and L3 Ethernet switching, and routing protocols. (3) Loaded with the Open Network Install Environment (ONIE), the ESP-9230 supports the installation of compatible independent switchOS offerings. The ESP-9230 supports the Open Network Install Environment (ONIE) for zero touch installation of network operating systems. The ESP-9112 is a new generation of switch from Advantech Networks and Communications Group and is optimized for use in software-defined networks (SDN) requiring 10 and 40 Gigabit Ethernet connectivity. It combines a high performance, low-latency Broadcom StrataXGS® Trident II BCM56854 switch for up to 680Gbps of forwarding bandwidth and a server-class Freescale QorIQ T4240 communication processor with 24-cores, providing a powerful and flexible platform that supports enhanced features essential for top-of-the-rack deployment in modern data center switching installations. Data center networks require increasingly denser 10GbE and 40GbE connectivity at the access and aggregation layers in order to address the higher speed network interface cards being deployed in servers and the increased link utilization due to widespread use of virtualization. The ESP-9112 combines the performance and efficiency of a traditional network switch with the manageability, flexibility and security required for SDN. With fiber support for six 40GbE QSFP ports and forty-four 10GbE SFP ports in a 1U rackmount design, the ESP-9112 can be used to build highly scalable, feature-rich, top-of-rack switches and aggregation equipment to connect big data, cloud and optimized workloads in the data center. When enabled by VortiQa Open Network switch software, Enterprise IT and cloud service providers will be able to drive greater flexibility and efficiency into their software defined infrastructure to support the increasing demand for new and innovative services. The platform utilizes standards-based protocols such as OpenFlow, and supports manageability through open technologies such as OpenStack and OpenDaylight. It also enables exceptional network security for virtualized environments by supporting the integration of high performance packet processing functions such as firewalling, intrusion detection and IPSEC over VxLAN. It also includes VNF support, commercial grade VortiQa SDN software supporting OpenFlow version 1.3 with extensions for Layer 4 and above protocols, and Layer 2/3 forwarding. Redundant, hot swappable, DC power supplies and fans, along with IPMI 2.0 and OpenIPMI hardware management interfaces provide the high availability and management features which equip the switch for managing business-critical traffic. One 10/100/1000 Ethernet RJ45 port and two serial ports are available for out-of-band management with two USB ports available for installation and maintenance needs. One ID LED helps users identify fail equipment in short time. Two 128GB SSD devices within the chassis provide storage for boot images allowing external network nodes to be loaded and booted from the switch. The ESP-9110 Enterprise-Class switch represents the entry level of Advantech’s white box switch portfolio. It integrates Layer 2 switching software optimized to meet the connectivity and performance requirements of cloud data centers, with 16 gigabit Ethernet combo ports, 8 SFP ports and 4 SFP ports offering greater installation flexibility. The ESP-9110 meets small data center requirements, delivering wire speed across all ports at up to 128 Gbps for Layer 2 traffic forwarding. In addition, the fanless convection design provides a higher degree of reliability, making it suitable for data centers operating at temperatures up to 45°C, while two 110~220 VAC input, built-in, redundant power modules ensure vital network capabilities for higher levels of availability. The ESP-9110 meets data center requirements for top-of-rack deployment; the switch can also be deployed to form a spine network, providing a high performance and cost-effective data center fabric that supports Software Defined Networking (SDN). The ESP-9110, when delivered with Advantech’s SDN software framework supports multiple protocols on the southbound interface, including Broadcom OF-DPA, OpenFlow and Indigo, allowing the ESP-9110 to be deployed as a physical switch under full SDN control. Advantech's PCI Express adapter range of accelerators, network interface cards, and intelligent NICs enables industrial integrators, network equipment providers and cybersecurity vendors to integrate LAN access and acceleration devices with more robust and reliable feature sets into industrial PCs, high performance servers and high-end network appliances. Advantech’s family of network interface cards in a range of form factors specifically adapted for deployment on our ATCA blades, in high density network appliances and in high performance servers, where network interface card are giving customers access to a full range of NICs with 1GbE, 10GbE and 40GbE interfaces with industrial life cycle and life cycle management. Our PCI Express adapters are designed for multi-core processing applications and optimized for virtualized environments. Multi-core processors and virtualized applications can leverage the I/O technologies available on the network controllers for load balancing data and interrupts amongst themselves in order to optimize and improve overall system performance. The PCI Express adapters offer excellent price/performance, enhanced power-savings and are backed by industrial lifecycles along with Advantech's comprehensive industrial lifecycle management program. Advantech’s PCIE-2231 is a low-profile quad port 10GbE Ethernet PCI Express server adapter based on the Intel® Ethernet Controller XL710-BM1 and X557 PHY. By supporting a PCI Express Gen3 x8 host interface, this adapter provides sufficient bandwidth for line rate traffic on all four 10GbE ports. Improved support for virtualization, including VMDq, SR-IOV and VEB make the PCIE-2231 a perfect fit for virtualized environments and applications with network overlays. Packet filtering, load balancing and protocol offload capabilities further enhance efficiency by saving valuable processing time on the host. PCIE-2231 is an ideal network interface solution for multi-tenant environments and Network Function Virtualization as well as networking applications such as WAN optimization and cyber security. Advantech’s PCIE-2410/PCIE-2420 is a low-profile single/dual port 100GbE PCIe adapter based on the Mellanox® Ethernet Controller ConnectX-5 and supports both PCIe Gen3 and Gen 4. When connected to a host over a PCIe Gen4 x16 interface, the adapter provides sufficient bandwidth for line rate traffic on both 100GbE ports. Two QSFP28 ports can be configured to support a variety of optical transceivers such as 100GBASE-SR4 and100GBASE-LR4 optical modules as well as direct attach cables and active optical cables. Improved support for virtualization, including SR-IOV, Guaranteed QoS for VMs and Open VSwitch offload make the PCIE-2410/PCIE-2420 a perfect fit for virtualized environments and applications with network overlays. Packet filtering, load balancing and protocol offload capabilities further enhance efficiency by saving valuable processing time on the host. PCIE-2410/PCIE-2420 is an ideal network interface solution for multi-tenant environments and Network Function Virtualization as well as networking applications such as WAN optimization and Network security. Advantech’s PCIE-2130 is a low-profile quad port Gigabit Ethernet PCI Express server adapter based on the Intel® Ethernet Controller I350-AM4. By supporting a PCI Express gen. 2 x4 host interface, this adapter provides sufficient bandwidth for line rate traffic on all Gigabit Ethernet ports. Four SFP ports can be configured to support a variety of optical transceivers such as single mode SX, multi mode LX optical as well as 1G Base-T copper modules. Improved support for virtualization, including VMDq and SR-IOV make the PCIE-2130 a perfect fit for virtualized environments and applications with network overlays. PCIE-2130 can be used to achieve high densities of network interfaces on servers and platforms for networking as well as industrial applications. Advantech’s PCIE-2131 is a low-profile quad port Gigabit Ethernet PCI Express server adapter based on the Intel® Ethernet Controller I350 Series. By supporting a PCI Express gen. 2 x4 host interface, this adapter provides sufficient bandwidth for line rate traffic on all Gigabit Ethernet ports. Improved support for virtualization, including VMDq and SR-IOV make the PCIE-2131 a perfect fit for virtualized environments and applications with network overlays. PCIE-2131 can be used to achieve high densities of network interfaces on servers and platforms for networking as well as industrial applications. Advantech’s PCIE-2220 is a low-profile dual port 10GbE Ethernet PCI Express server adapter based on the Intel® 82599ES 10 Gigabit Ethernet Controller. By supporting a PCI Express gen. 2 x8 host interface, this adapter provides sufficient bandwidth for line rate traffic on both 10GbE ports. Two SFP ports can be configured to support a variety of optical transceivers such as 10GBASE-SR and 10GBASE-LR optical modules as well as direct attach cables. Improved support for virtualization, including VMDq and SR-IOV make the PCIE-2220 a perfect fit for virtualized environments and applications with network overlays. PCIE-2220 is an ideal network interface solution for multi-tenant environments, Network Function Virtualization as well as networking applications such as WAN optimization and cyber security. Advantech’s PCIE-2230 is a low-profile quad port 10GbE Ethernet PCI Express server adapter based on the Intel® Ethernet Controller XL710-BM1. By supporting a PCI Express gen. 3 x8 host interface, this adapter provides sufficient bandwidth for line rate traffic on all four 10GbE ports. Quad SFP ports can be configured to support a variety of optical transceivers such as 10GBASE-SR and 10GBASE-LR optical modules as well as direct attach cables. Improved support for virtualization, including VMDq, SR-IOV and VEB make the PCIE-2230 a perfect fit for virtualized environments and applications with network overlays. Packet filtering, load balancing and protocol offload capabilities further enhance efficiency by saving valuable processing time on the host. PCIE-2230 is an ideal network interface solution for multi-tenant environments and Network Function Virtualization as well as networking applications such as WAN optimization and cyber security. Advantech’s PCIE-2221NP is a low-profile dual port 10G Ethernet PCI Express server adapter based on Intel’s X550-AT2 controller. By supporting a PCI-Express Gen3 x4 host interface, this adapter provides sufficient bandwidth for line rate traffic on all two 10GE ports. Improved support for virtualization – including, but not limited to – VMDq, SR-IOV and VEB make the PCIE-2221NP a perfect fit for virtualized environments and applications with network overlays. PCIE-2221NP can be used to achieve high densities of network interfaces on servers and platforms for networking as well as industrial applications. Advantech’s PCIE-2221BP is a low-profile dual port 10GbE Ethernet PCI Express server adapter based on the Intel® X710-BM2 10 Gigabit Ethernet Controller. By supporting a PCI Express gen. 3 x8 host interface, this adapter supports fiber interfaces with advanced LAN bypass. PCIE-2221BP is compliant with PCIe Card form factor and can be used on Advantech network appliance platforms. mproved support for virtualization, including VMDq and SR-IOV and VEB make the PCIE-2221BP a perfect fit for virtualized environments and applications with network overlays. PCIE-2221BP can be used to achieve high densities of network interfaces on servers and platforms for networking as well as industrial applications. Advantech’s PCIE-2320 is a low-profile dual port 40GbE Ethernet PCI Express server adapter based on the Intel® Ethernet Controller XL710-BM2. By supporting a PCI Express gen. 3 x8 host interface, this adapter provides sufficient bandwidth for line rate traffic on all two 40GbE ports. Dual QSFP ports can be configured to support a variety of optical transceivers such as 40GBASE-SR and 40GBASE-LR (TBD) optical modules as well as direct attach cables. Improved support for virtualization, including VMDq, SR-IOV and VEB make the PCIE-2320 a perfect fit for virtualized environments and applications with network overlays. Packet filtering, load balancing and protocol offload capabilities further enhance efficiency by saving valuable processing time on the host. PCIE-2320 is an ideal network interface solution for multi-tenant environments, Network Function Virtualization as well as networking applications such as WAN optimization and cyber security. Advantech’s PCIE-3020 is a half-height, half-length PCI Express adapter supporting hardware acceleration for Intel® QuickAssist Technology. In the highest performance SKU, two Intel® Communications Chipset 8950 onboard accelerator devices are complemented by a PCI Express gen. 3 switch to fully utilize the bandwidth offered by the latest Intel® Xeon® E5 processor family. Packaged in a standard half-height, half-length PCIe form factor, the PCIE-3020 is a perfect fit for hardware acceleration and offloading in high performance, high density throughput servers and appliances. Offering acceleration for common security and crypto offloads such as AES, 3DES, Kasumi and SNOW, the PCIE-3020 can supplement the CPU throughput for the termination of standard security protocols such as IPsec and SSL, freeing up valuable cores and CPU cycles for application processing. With 50Gbps bulk crypto throughput and 165k RSA decrypt ops per accelerator device, the PCIE-3020 with more than 300k RSA decrypt ops offers best-in-class performance per watt at an outstanding price-performance ratio. Complemented with 20Gbps compression offload (LZS, Deflate) and even higher decompression offload per accelerator device, the PCIE-3020 can also be of great benefit in storage applications. Ultimately, the PCIE-3020 supports simultaneous crypto and compression offloading, making it an ideal choice for demanding applications such as WAN and traffic optimization, secure storage and secure web servers. Two price / performance optimized variants of the card are available supporting one Intel® DH8950 and one Intel® DH8925 PCH device providing scalability of Intel® QuickAssist offload capability. Fully supported by Intel® QuickAssist Libraries and the Intel® Data Plane Development Kit (DPDK), customers can use application software without modifications across Intel® platforms with and without Intel® QuickAssist hardware acceleration minimizing time-to-market, total cost of ownership and resource investment. Complementing Advantech’s offering of standard blades, servers and appliances with built-in and scalable Intel® QuickAssist offload, the PCIE-3020 rounds up the portfolio by bringing Intel® QuickAssist offload to white-box servers and proprietary platforms. Through Advantech’s Customized COTS framework and services, the PCIE-3020 can be easily tailored to meet customer requirements, both in terms of standard PCIe form factor cards with different accelerator configurations or integrated with Ethernet controller silicon on both standard and proprietary form factor cards. Contact your Advantech representative to learn more about Advantech's standard PCIe adapters, networking platforms or professional customization services. Advantech’s PCIE-3021 is a PCI-Express based adapter supporting hardware acceleration for Intel® QuickAssist Technology. It is offered in a standard PCI Express add-in card form factor as well as a small form factor footprint for density optimized platforms such as Advantech’s FWA-5020. The adapter supports two Intel® Communications Chipset 8955 devices behind a PCIe gen.3 switch to leverage the full acceleration capabilities of the devices. Offering acceleration for common security and crypto offloads such as AES, 3DES, Kasumi and SNOW, the PCIE-3021 can supplement the CPU throughput for the termination of standard security protocols such as IPsec and SSL, freeing up valuable cores and CPU cycles for application processing. With 100Gbps bulk crypto throughput and more than 300k RSA decrypt operations, the PCIE-3021 offers best-in-class performance per watt at an outstanding price-performance ratio. Complemented with 100Gbps compression and decompression offload (LZS, Deflate), the PCIE-3021 can also be of great benefit in storage applications. Ultimately, the PCIE-3021 supports simultaneous crypto and compression offloading, making it an ideal choice for demanding applications such as WAN and traffic optimization, secure storage and secure web servers. Fully supported by Intel® QuickAssist Libraries and the Intel® Data Plane Development Kit (DPDK), customers can use application software without modifications across Intel® platforms with and without Intel® QuickAssist hardware acceleration minimizing time-to-market, total cost of ownership and resource investment. Contact your Advantech representative to learn more about Advantech's standard PCIe adapters, networking platforms or professional customization services. Advantech Integrated ATCA Systems are specifically targeted to help Industrial communication network appliance providers reach superior levels of performance over traditional rackmount servers, network appliances, and x86 network appliance. The Integrated ATCA Systems represent a new generation of systems, which offer superior performance, scalability, and flexibility with the latest 40 gigabit Ethernet (40G) backplanes, switches and network application blades. The systems optimize the network application platforms to achieve the highest possible density at the rack level, with a maximum number of payload blades, network ports, and switching capacity. Each system is tailored for customers to rapidly deploy in industrial data communication markets for ATCA applications, which require faster and deeper packet processing. Advantech's x86 ATCA Blades are co-designed with leading silicon suppliers, providing OEMs with the earliest possible access to leading edge technology. The cornerstones of our ATCA product line are the blades designed in our own labs and manufactured on our own production lines. Advantech manages the entire life cycle and control all our costs to give customers the best service at the right price. Advantech’s Intel x86 ATCA blades offer fast PCI Express gen 3 lanes, ATCA Ethernet switches, and the best in class virtualization support. Advantech's Intel, Cavium, and ATCA blades are supplied by the leading silicon suppliers in order to give customers early access to the very latest technology, to accelerate next-generation product design capability, and to enhance first mover advantage. In addition, our Intel x86 ATCA blades, with ATCA Ethernet switches and both fabric/base interface, can be matched with the needs of the specific network element of our processing system to deliver an overall ideal architectural solution for you. Advantech Fabric Mezzanine Modules (FMM) is a new denominator for personalizing a common platform at the blade level, and they scale extremely well for both I/O and ATCA acceleration functions. For example, the MIC-5333 ATCA blade based on two 8-Core Intel Xeon E5 Series processors houses three FMM sites on the front blade and one on the rear transition module, enabling a wide variety of solutions. Our Fabric Mezzanine Modules provides additional flexibility to ATCA CPU and RTM boards such as 10GE SFP+ port, 40g networking, and VGAserver type graphics module. The FMM specification defines the high speed interfaces and associated FRU management. FMMs are compact -- just 6.4 x 7.5 cm -- and use FMC compliant connectors for high speed differential I/O. Supported by advanced SFP port feature, Fabric Mezzanine Modules products allow users to ensure fast ethernet network and select the appropriate transceiver. Also, co-designed with leading silicon suppliers, Intel Ethernet Controller within our FMM features for I/O virtualization and unified networking. Advantech’s Intel Ethernet Controller and SFP port supported Fabric Mezzanine Module technology offers a small, more power-efficient set of options for Advantech ATCA blade configurations. ATCA rear transition module is an I/O extension for Advantech ATCA CPU blades. To meet serviceability, it is designed as a fully managed and hot swappable FRU. On board SAS controller supports two 2.5 inch hot swappable SAS HDDs which operate up to 3.0 Gbit/s, and provides external mini SAS connectors on rear panel for failover cabling. Via USB-to-UART transceiver, frontboard UART can be exported to mini USB connector on RTM. Two Ethernet GbE ports provide extra two I/O LANs for rear access. Two USB ports(USB 2.0) support versatile USB devices. One PCI Express x1 interface supports one mini PCIe socket for flexible expansion, and we provide mini PCIe VGA module (optional) for debugging purposes. Advantech ATCA rear transition module is the solution for your I/O extension. Advantech’s AdvancedMC is designed to work on AdvancedTCA carrier cards and which can directly plug into a backplane is defined by MicroTCA. We offer highly integrated various sizes of AMC processing module, which empowered by leading suppliers’ processors and chipsets. With efficient power consumption and multiple choices of Gigabit Ethernet/USB2.0/SFP+ ports, our MicroTCA and AdvancedMC product line are here to elevate the AMC processing module performance: small size, high performance, hot swap capability, and full management infrastructure. Our MicroTCA and AdvancedMC product series fit your carrier grade communication equipment needs. The Advantech MIC-5604 is a single-width mid-size general purpose processor AMC module for ATCA or MicroTCA applications. Its design is based on Intel® Xeon®-D SoC processors in a BGA package. This AMC module supports processors with integrated memory controllers, and a maximum cache of 6MB. It can support up to 8/16 GB, dual-channel, on-board DDR4 memory with ECC at 2133/1866 MHz, making it ideal for mission critical applications requiring low latency and reliable memory access. For graphics or control applications the front panel HDMI port provides the Display support. As standard feature, external Ethernet connectivity is provided on two dedicated GbE front panel ports, one each from the onboard Intel® I350 AM4 quad port LAN controller, which also provides two additional GbE ports to the AMC base fabric. The Intel® I350 supports remote management capabilities with KVM over LAN as well as introducing faster I/O than previous generation designs with SATA-III to AMC ports 2..3 and PCIe x4 gen.2 to ports 4..7. This module can also be configured to boot from the network, M.2 SSD, or external storage media such as HDD or USB drives. To enable maximum application flexibility, the MIC-5604 is not only designed to support PICMG AMC sub-specifications such as AMC.1/.2/.3, it also has a fabric expansion mezzanine interface that allows the implementation of standard or customized mezzanine modules that offer enhanced fat pipe connectivity and I/O support. A dedicated Module Management Controller (MMC) monitors onboard conditions and manages hot swap operation, module replacement and field upgrades without the need to power down the carrier system. The AMC-4201 is a single-width, mid-size AMC based on the Freescale P4080 processor. It combines eight Power Architecture&#174; e500-mc Cores operating at frequencies up to 1.5 GHz with high-performance, datapath acceleration logic, extensive networking I/O, and peripheral bus interfaces. It combines powerful multi-Core Power Architecture performance with network processing capabilities, and builds on the communications ubiquity of Freescale’s QorIQ&#174; product family. AMC-4201 provides 4 and 8 GB build options for onboard DDR3 memory at 1333 MHz with ECC support. One front-panel 10GbE SFP+ connector provides network access in addition to a front panel console and debug port. &lt;br /&gt; &lt;br /&gt; The unique SERDES design supports up to four different AMC port configurations for a mix of SRIO, PCIe, XAUI and SGMII channels. This makes the AMC extremely versatile and caters to a wider range of MicroTCA or ATCA Carrier topologies beyond just telecom applications. 4 MB SPI Flash and 2 GB NAND Flash provide onboard options for software and storage. The AMC also provides 8 KHz and 19.44 MHz telecom clock synchronization support. The MIC-5203 is a low power, quad-port GbE AMC, with copper RJ-45 or fiber SFP pluggable modules. It incorporates the Intel&#174; i350 Quad Gigabit Ethernet controller. The AMC provides a high performance PCIe x4 interface at 5 Gb/s per lane at an outstanding low power dissipation of less than 10W. Support for Intel&#39;s offloading and platform enhancement features yields maximum network throughput while preserving valuable CPU cycles for application processing. The MIC-5212 is a low power, dual-port 10 GbE AMC, with SFP+ pluggable modules for multi-mode and single-mode fiber media and is based on the Intel&#174; 82599ES 10 Gigabit Ethernet controller. The AMC provides a high performance PCIe x8 interface at 5 Gb/s per lane at an outstanding low power dissipation of less than 10W. Support for Intel&#39;s offloading and platform enhancement features yields maximum network throughput while preserving valuable CPU cycles for application processing. The Advantech MIC-5401 is a single-width/mid-size Advanced Mezzanine Card (AMC) designed to support a 2.5&quot; SAS or SATA hard disk drive to work as an enterprise storage module on an ATCA platform or in a MicroTCA shelf. The 2.5&quot; hard disk drive is connected to the AMC port 2 (SAS and SATA) and port 3 (SAS only) according to the AMC.3 specifications. Dual port SAS drives may be used on the MIC-5401 to increase the interface bandwidth of failover support between dual hosts in fault tolerant environments. Like all other standard AMC modules, an IPMI-based module management controller (MMC) is also implemented on the MIC-5401 to serve as a communication interface to the Carrier Management Controller on an ATCA platform, or to the MicroTCA Carrier Management Controller on the MicroTCA Carrier Hub in a MicroTCA shelf. As a local IPMI controller on the AMC, it manages all hot-swap activities, E-keying, and hardware heath monitoring such as voltages (12V, 5V, and management power 3.3V) and on-board temperatures (including hard disk drive’s ambient temperature). The MIC-5401’s mechanical design is optimized for a maximum of shock and vibration durability combined with a user- and service friendly mounting process for the disk drive.